The internet as a medium to transact business in the global sphere offers significant advantages for small and medium-sized companies as more than a billion people are connected to the world wide web. The U.S. Department of Commerce reports that that 96% of the world’s customers reside outside the United States, which means that new opportunities are everywhere if you know where to look for them. The same organization emphasizes that 97% of all U.S. exporters are small businesses, but still, only 1% of American companies are involved in exporting. This is great news for those who are looking for new markets and new sources of revenue. Another research study conducted by The Economist says that 72% of small and medium-sized companies expect to obtain up to half of their revenues from foreign markets by 2019. It’s about to become competitive out there! With 1.3 billion people, China is the world’s biggest consumer market. It’s an attractive target for those who want to start exporting. China’s growing middle class means increased opportunities in a variety of industries, including consumer based markets, franchising and the services sector. With 700 million people online, ecommerce in China is an area that’s expected to grow significantly in the coming years. India then represents the world’s second biggest consumer market, exporting to India is a smart move for those looking for expand their businesses. By 2022, India is expected to be the world’s most populous country. Over 300 million people represent their middle class, which is basically the entire population of the United States. There is also a large affinity with American goods due to the nations shared language. Compared to the year 2000, the penetration of internet in Latin America has grown 56.6%, and its total population now represents 10% of the internet users around the globe. Half of the Brazilian population have purchased on international websites at least once. That is around 100 million people! Going global means you will broaden your customer base, and that can lead to some very profitable results. A fun fact that illustrates just how large of an impact ecommerce can have when going global is the Manhattan based sneaker boutique Stadium Goods curious achievement with a particular sales dates. In 2017, Black Friday and Cyber Monday were not the biggest shopping holidays for the ecommerce shop. Instead it was Single’s Day on November 11 which is a shopping holiday created in China! This success was fueled by the smart seller’s use of Alibaba’s large Tmall platform, which is part of Alibaba’s effort to connect small American business with Chinese customers. Opening up new channels of income for your company will result in a growth in your business and a reduced reliance on your domestic market. That will be followed by an increase in sales and profits. Another big advantage of broadening your market worldwide is reducing the excess of inventory, especially when it comes to the excess of seasonal products – since seasons are different in the North and South hemispheres. If you think the Internet is all about connecting people, you are wrong. It is also connecting people to products, and this is happening with the aid of social media. Facebook, YouTube, WhatsApp and other platforms have reduced the time and money needed to communicate on a global scale. Besides having people sharing selfies and videos with each other, companies are finding it increasingly easy to penetrate into new markets, trends and talent pools. Consumers are more globalized, they follow international social media influencers, they read news from across the globe, they are tech savvy and they want to be part of the latest trends. This means they are more likely to access ecommerce businesses from outside of their home countries in order to have access to more exclusive products they cannot get elsewhere. When it comes to the practical reasons why people shop outside of their countries, the top three reasons are: price (68%), availability (46%) and selection (38%). Ecommerce represents a big driver of change in both logistics and physical distribution networks. As ecommerce continues to grow, multi-channel shippers are beginning to adjust the demand for their distribution network infrastructures. Compared to brick-and-mortar businesses, internet based companies can also handle tasks such as online advertising, direct email marketing, order processing, payment and after-sales services with much lower costs. The benefits are an improved communication system, a bigger transparency into the supply chain, improved overall customer satisfaction and cost reduction. Payment methods are also evolving, facilitating the checkout process. Data shows that customers tend to abandon their carts at the moment they have to give their credit card information, but if the shops are connected to online wallets and other easier and trust-worthy payment platforms, they are more willing to go through with the shopping process. These agreements create a more accountable and fair-trading relationship between two or more countries, they promote fairness for all parts involved, by reducing trade barriers and cutting taxes on importing goods and establishing a fair set of rules. FTA’s also prevent countries from using unfair trade practices to hurt companies and workers. They rebalance the rules and relationships with other countries, making them more accountable for their actions. The United States, for example, has one of the lowest tariffs and fewest trade barriers – this helps increase American exports to the rest of the world, where 95% of their potential customers live. More exports lead to more sales, which drives the economy and helps create jobs that currently depend on trade. Free trade leads to better jobs, new markets and increased investment too. It also allows companies to focus on producing and enhancing the goods or services they profit on most. By entering the international market, a company will gain valuable experiences and know-how which can be used both in the domestic market as in the international one. This can be information on new technologies, new products and ideas, and much more. Such knowledge can be used in favor of developing new and better products and selling them more effectively. Tapping the international market also comes with the possible advantage of lowering the costs of production. When expanding your business, your supplies will also increase, while the cost of production per unit should inversely decrease. Diversifying risks is another benefit for those aiming to enter international markets. When expanding to other countries, risks like market changes and economic downfalls can be more evenly distributed. The size of the business is not that relevant when it comes to making the decision of exporting: what matters the most is the willingness to succeed in different markets. Good entrepreneurs know that taking risks is a part of succeeding. There are different ways of determining the right time to go global. One of the fastest ways to connect to foreign markets is to analyze your online traffic. If your company sells through online retailers, you can use their web analytics to know who is buying your products. It can be wise to start slowly by inserting your products in a multi brand platform such as eBay. Having local teams in each market is also a valuable asset, since going from local to global can be a complex exercise of balance because each market has its own particularities. You should know in advance where there are the highest demands for your type of business. Up to 87% of Chinese customers shop from international ecommerces and there is also a big demand in the Asia-Pacific markets. If you’re dealing with luxury goods, your grounds for expansion are in for a big boom. While only 4% of luxury sales currently are made online, 40% of them are influenced by social media or online research. It is also important to create an experience that is similar to the one your domestic shoppers have, so your new customers will feel comfortable enough to buy from you in the first place and will most likely come back and shop at your ecommerce once more. Getting export-ready doesn’t require a lot of money or a full-time exclusively dedicated staff. However, exporting requires planning and upper management commitment. The decision makers need to see value in international sales. It is also important to have realistic expectations about the timing of return on investment. 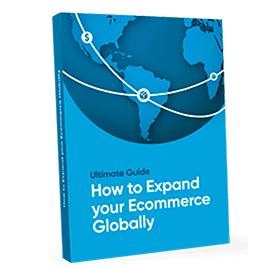 Ecommerce tends to scale and generate sales very quickly, and that means it is extremely important to have a reliable distributor to manage a larger volume of sales in a foreign market. If you don’t have a detailed international strategy yet, now is the time to create one. A well thought out plan can make a difference between a few international sales and achieving significant business growth. And most importantly: do your research. Different markets have different needs based on cultural peculiarities, which can reflect on different moments of the sale process: from advertising to delivery!